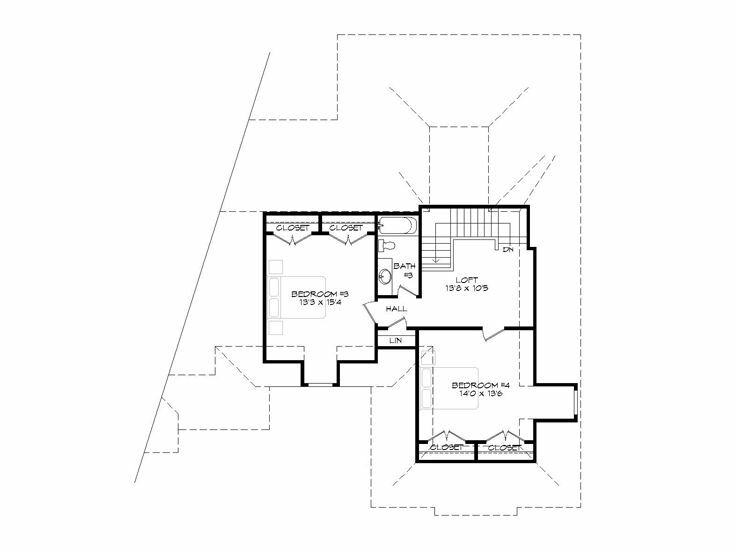 Second Floor 783 sq. ft. Depth 62 ft. 4 in. 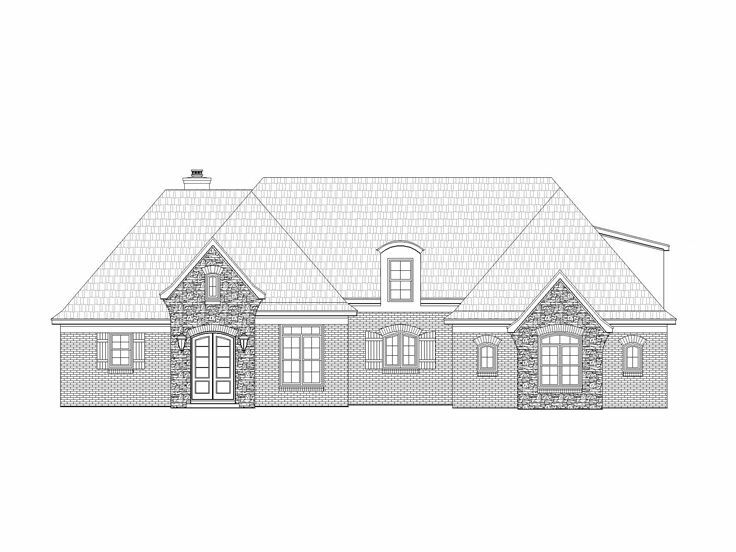 A brick and stone façade accented with gentle arches and slatted shutters will bring European flavor to any neighborhood with this two-story luxury house plan. 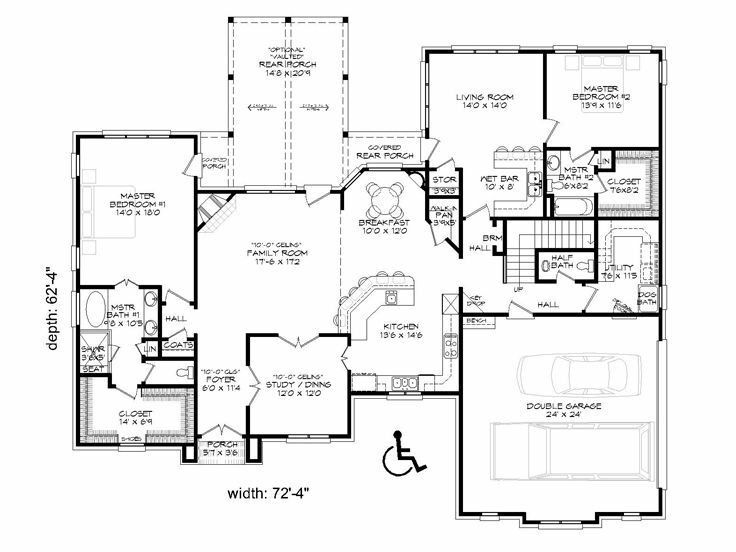 Double doors open to a spacious foyer which quickly introduces a handicap accessible main floor. The flexible space on the right could easily serve as a peaceful study or a formal dining room. 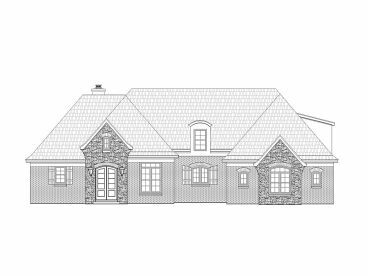 Beyond, you’ll find the generously sized great room showcasing a 10’ ceiling, corner fireplace and access to the rear porch. Nearby, the kitchen teams up with the cheerful breakfast nook and together they overlook the great room creating an open and free-flowing floor plan that nicely accommodates everyday happenings and works well for entertaining friends and family. A breakfast bar with plenty of seating and a walk-in pantry will please the family chef. Just off the kitchen, you’ll find the two-car garage, utility room and half bath. Behind these spaces, a mother-in-law suite is tucked away for privacy. 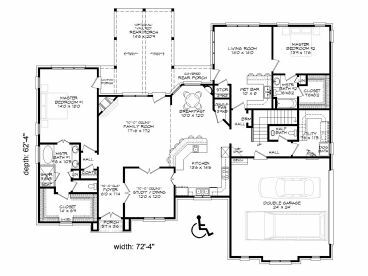 This space is ideal for those with an aging relative in their care and allows for private living, along with access the main home making this house plan a multi-generational design. The in-law suite enjoys a sunlit living area, compact kitchen, bedroom and private bath. On the opposite side of the home, your master bedroom reveals a refreshing bath filled with fine appointments and access to the rear porch. 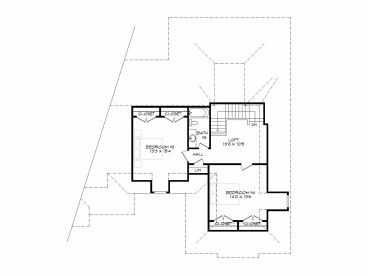 Two family bedrooms reside on the second floor where they offer double closets and share a hall bath. The loft area works well as a homework station for the kids or a TV room. 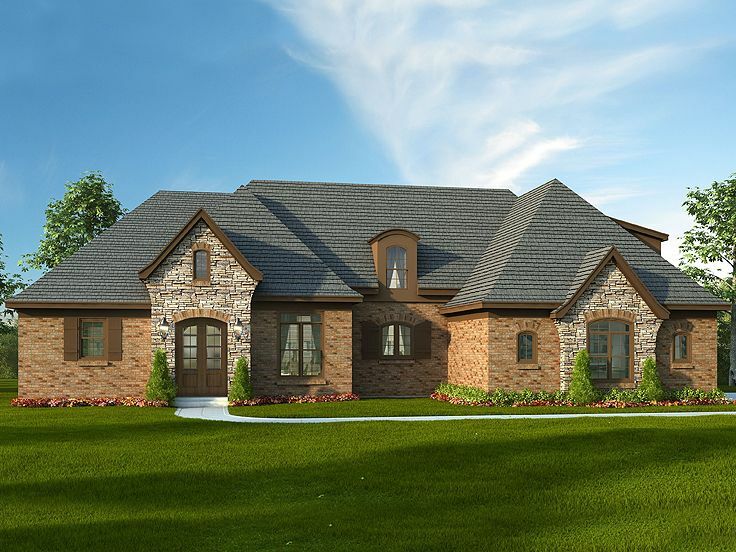 Designed to satisfy the needs of many different families, this luxurious European house plan delivers a spending mix of comfort, function and style!